THE Clothing Exchange promotes sustainable fashion, encouraging recycling, donating and buying clothing that are ethically produced. 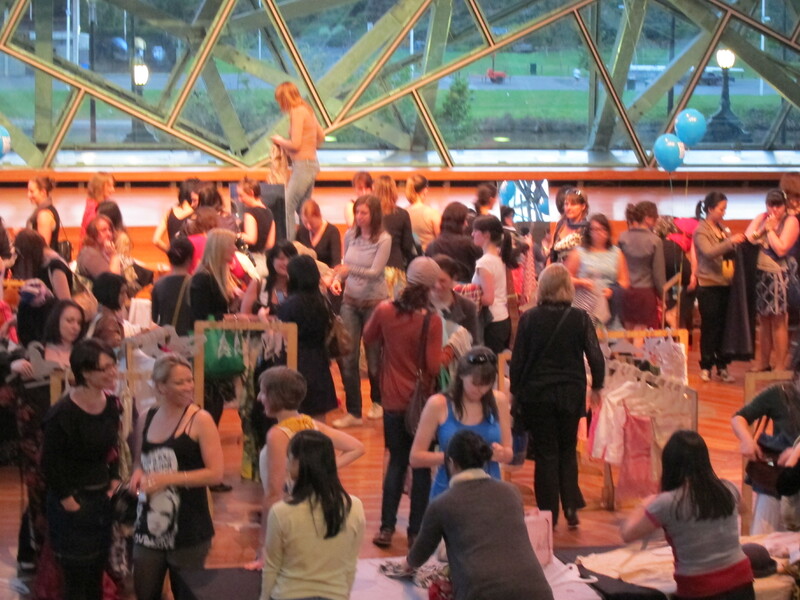 At their Federation Square clothes swap, ladies bring up to six garments and accessories, which are sorted and hung on rails. You’re given the same number of buttons in return as currency. 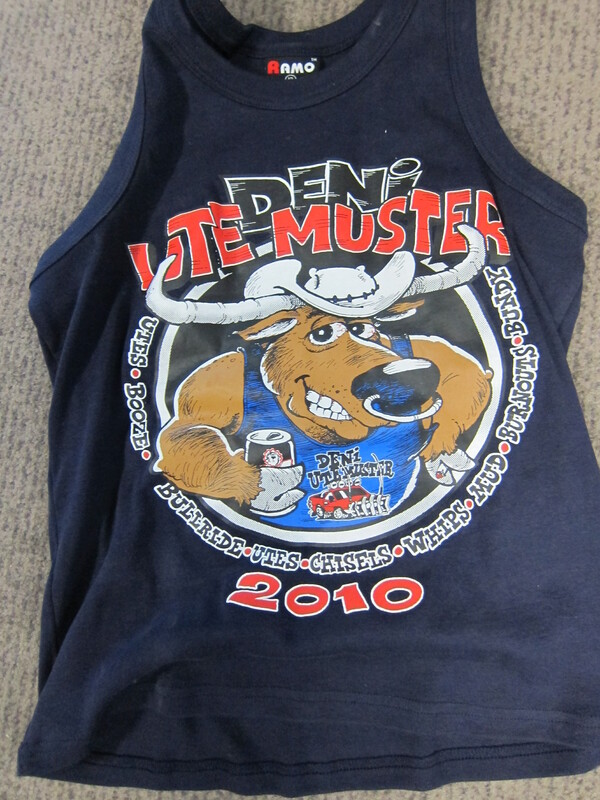 Esther calls me at the last minute with a spare ticket, so all I have to offer is my Deniliquin Ute Muster singlet. It’s blue with a comical bull’s face ironed on it. It’s tops. When I hand it over to one of the volunteers she looks at me like she just knows I’m going to hone in on some Gucci suit, then holds it with outstretched arm to show a colleague. It’s eventually accepted after a certain amount of discussion, but really, I’ve never been so insulted in all my life. The organisers are piping soothing music into the hall, so when it’s time to get foraging I’m expecting a squall. As it turns out, it’s all pretty civilised – although the rise in cortisol levels is palpable. And is that someone grunting? A current affairs program is filming proceedings, bullishly running over their allotted time as the gimlet-eyed host leads her burly bovver boys through the throng. I zero in on a Stussy v-neck. Outta the way, moll. As the minutes tick by, I keep casting an anxious eye over at the Deni singlet. Nobody’s taken it yet. “You must be emotionally detached,” the Clothing Exchange website warned us of our donations, but seeing it neglected on the shelf, I feel the same way I did at school fetes when Mum’s wholemeal walnut loaf would be the only baked goods left standing at five o’clock; probably because the povo mums just sent along packets of Jammy Dodgers, which is unfair. Finally, I run over and grab it, to a loud tut from Esther. But this was always going to happen – I can never emotionally detach from the misunderstood and maligned. And they just follow me around anyway. Keeper? On a matey scale, I reckon. how you could even consider letting it go… i do not understand! I hope to see yo mowing your lawn in it this summer! I’ll even mow your lawn in it this summer!